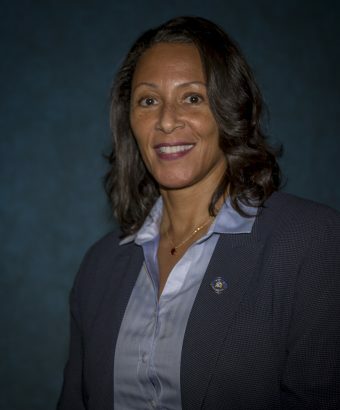 Dr. Berlethia J. Pitts, a native of the Perry Hill Community of Seneca, South Carolina, has been a member of the Fort Valley State University family since August 2003. She is a Professor of English and African American Studies and serves as the Head of the Department of Languages and Liberal Studies. In 2008, she was recognized as the FVSU John W. Davison Teacher of the Year. Professionally, Dr. Pitts is a member of the American Association of University Women (AAUW), the Georgia Association for Women in Higher Education (GAWHE) and the National Council of Teachers of English (NCTE). Personally, she is an active member of member of Ebenezer Baptist Church of Seneca, South Carolina and Hope Church of Fort Valley, Georgia. Dr. Pitts received her Bachelor of Arts degree in Journalism from the University of Georgia; her masters’ degrees from Clemson University in English and Temple University in African American Studies; and her Doctor of Philosophy in African American Studies from Temple University. Her research interests focus concurrently on issues related to education, African-centered and culturally relevant pedagogy; African American history and literature; and American and English Literature. Her life’s philosophy and purpose is to extend Peace and Love to all whom she encounters. Principal Investigator. The Taylor County (Georgia) Safe Schools/Healthy Students Program. $27,500.00 for Project R.I.S.E. (Reinforcing Instruction through Supplemental Education). Fall 2009. Co-Principal Investigator. Taylor County (Georgia) Safe Schools/Healthy Students Program. $27,500.00 for Project S.O.A.R. (Students Organized for Academic Readiness). Spring 2010. Assistant Professor: English and African World Studies, August 2003-2013. Associate Professor; English and African World Studies, February 2013 – Present. Ferdinand, R., Jackson, C.K., & Pitts, B. July 2012. “Reading the Harlem Renaissance into public policy: Lessons form the past to the future.” Afro-Americans in New York Life and History. Volume 36 No. 2, pages 7 – 36. Board of Regents of the University System of Georgia. Final Report Task Force on Health Professions Education Findings and Recommendations. June 2006. Ferdinand, R., Jackson, C., and B. Pitts. “Language and the Communication Teacher: Creating a Positive Learning Environment for Black English Speakers.” Language and Social Interaction Division. Paper to be presented at Southern States Communication Association Conference. Memphis, TN (April 2010). Pitts, Berlethia J., R. Ferdinand and C. Jackson. “Transforming Our Schools: The Urgency of an African-Centered Education.” Paper presented at the 18th Annual Conference of the National Association of African American Studies, Baton Rouge, LA (February 2010). Ferdinand, R., and B. Pitts “Allow Her to Be a Woman: Sexual Liberation in Black Women’s Writing: A Diasporic Analysis.” Paper presented at the 27th Annual International Conference of Association of Third World Studies Conference. Ghana, West Africa (November, 2009). Charter member, FVSU National Chapter of Alpha Lambda Delta Honor Society. Fall 2011. Charter member, FVSU State Chapter of Alpha Lambda Delta Honor Society. Spring 2010.